It's amazing what baking can do! Bake A Wish is our largest community fundraising campaign, where making wishes come true is a piece of cake! Now in it’s second year, we’re aiming to raise more than $100,000. Help make more unforgettable wishes come true for seriously ill children across Australia by signing up today! 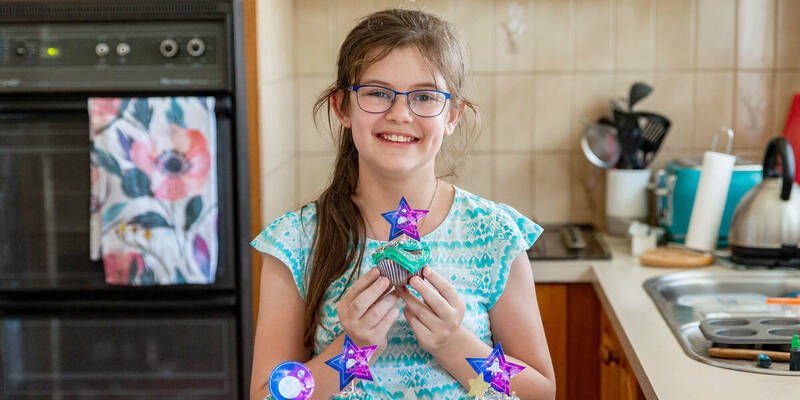 Find out how by visiting our Bake A Wish website. Abbey is our Bake A Wish champion, and one of more than 700 kids on a Wish Journey right now. Her galaxy themed high tea wish will combine her two great loves - baking and best friends.